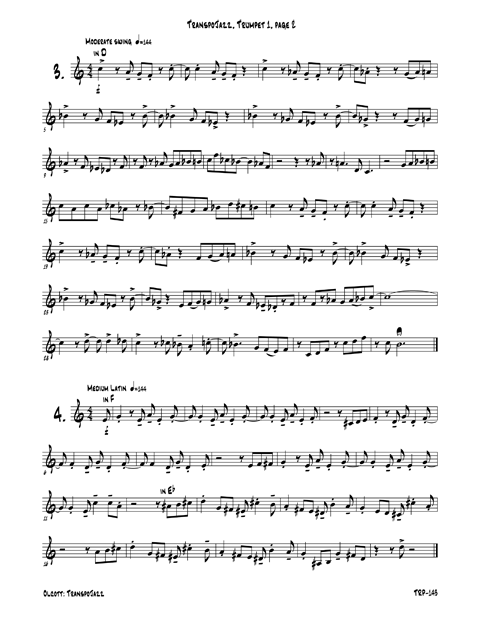 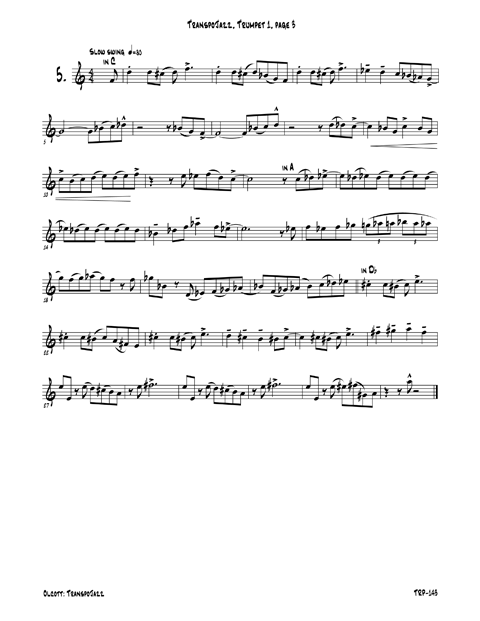 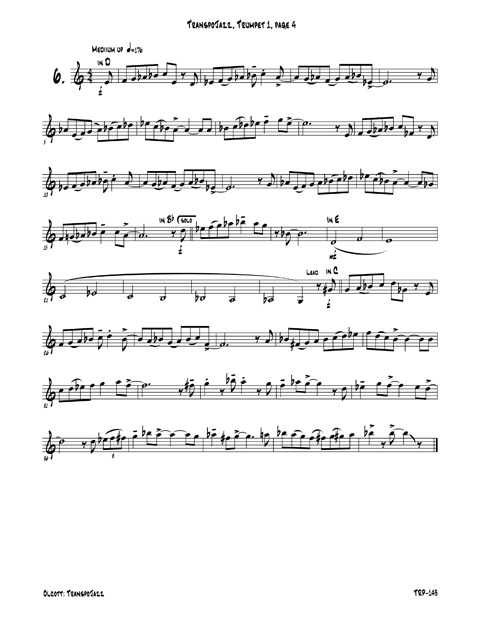 Fourteen jazz quartets written for enjoyment and the practice of transposition. 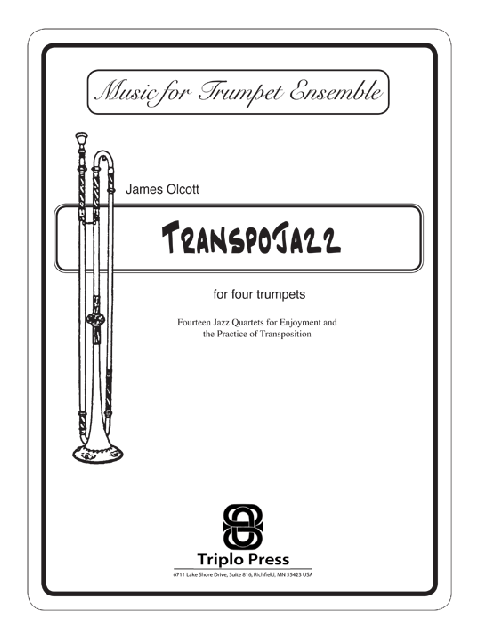 Published in 2003 by Triplo Press with all parts transposed as 14 Recreational Jazz Quartets (TRP-069), TranspoJazz was originally composed to give students experience in playing jazz while improving skills in the art of transposition and is reproduced here in its original format. 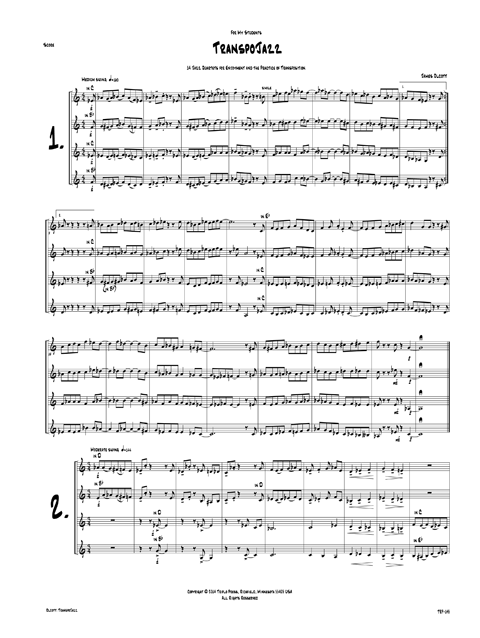 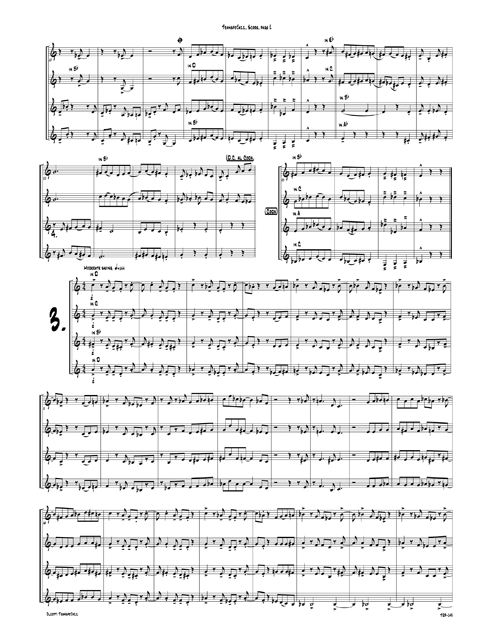 The works are fun, short, varied in tempo and style, musically satisfying, and provide challenges in counting, phrase, ensemble performance - and transposition. 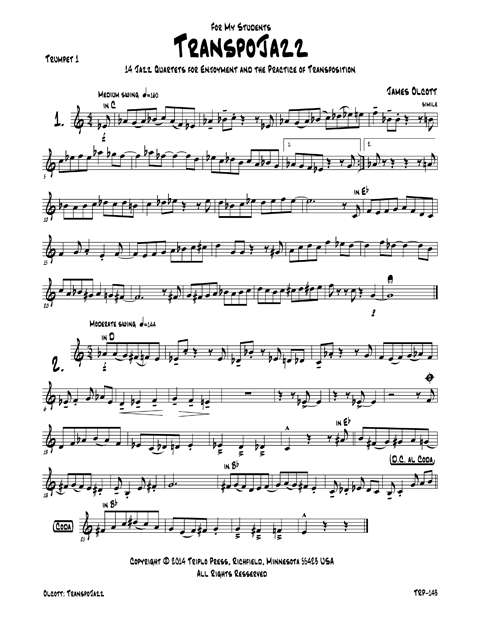 ...a great collection for any trumpet player or trumpet teacher's library due to the challenges presented for sight reading and transposition.